How Are Foodborne Diseases Transmitted? 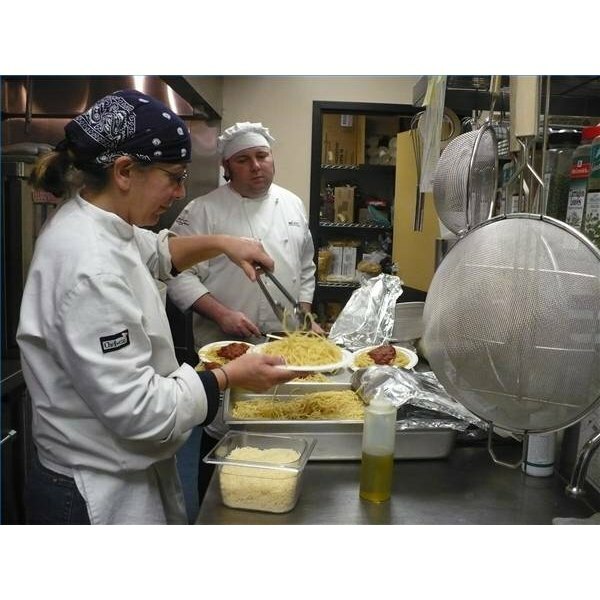 Food safety should be the primary concern when preparing food commercially. Preventing serious food borne illness by understanding and using safe food handling procedures is the main benefit of food safety. Decreased food waste, a well-trained staff and continuing to be able to operate a commercial establishment are further benefits of food safety; but these should not be considered above the promotion of public health and safety. Purchasing, storing, preparing and serving food using safe handling procedures will result in limiting the chances of people acquiring food borne illness. Avoiding cross-contamination, especially when working with raw meat or egg products is key in preventing illness from these foods. Common illnesses that can occur are salmonella or trichinosis poisoning resulting from improper handling of chicken, eggs or pork. This type of poisoning can be life-threatening. Food borne illness can be a serious public health hazard. For this reason, kitchen workers are required by law to have knowledge of food safety procedures. After reviewing the guidelines and taking a test, they are issued a "food handler card" that proves understanding of food safety practices. These tests are generally issued by the local health department or a national organization such as Serv-Safe. Not understanding food safety procedures cannot only be a public health risk, but will also affect cost in the form of food waste due to spoilage and mishandling. Perishable goods must be kept refrigerated at 40 degrees F. or below. Hot foods must be kept at least at 140 degrees or above. Foods that are pulled off the stove or line and cooled must be brought down from 140 degrees to 40 degrees within four hours in order to be safe. This type of basic knowledge is essential to operating a safe and efficient kitchen. Management that understands the benefits of food safety will impart this knowledge to their staff, making the entire operation run effectively. A staff that consistently uses safe practices will tend to waste less food, create a better product and self-monitor kitchen procedure, allowing management to focus on customer satisfaction and the business and promotion of the restaurant. A restaurant that cannot meet the requirements of a food safety inspection is at risk of losing its operating license. The local Public Health Department is responsible for assuring that commercial restaurants and food vendors follow safe food handling practices and will routinely inspect the premises of all such operations. Repeated infractions can result in a permanent loss of license from the city or county. Does Microwave Cooking Destroy Vitamins? What Foods Can Make You Nauseous?